Your favorite music in the background, the GPS directions guiding you straight to your destination, and phone calls within easy reach: the B1.4 intercom is ideal for your motorcycle trips, by yourself or with a friend. 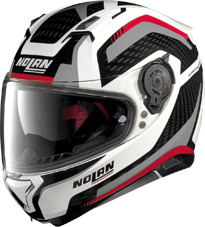 You will not find better integration: the B1.4 was designed and developed specifically to be assembled on Compatible Nolan helmets. Installation is simple, fast and user-friendly. 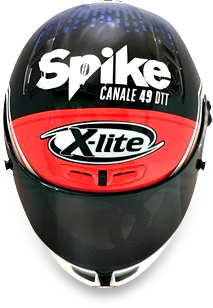 The helmet retains its original comfort. Thin, built into the helmet, 3 button keypad. • Automatic exclusion of intercom and of the connected audio source during a telephone conversation. Automatic reconnect ion at the end of the phone call. • "GPS Conference" function: "Rider/Passenger" intercom active while the GPS is giving instruction. • N-Com Wizard program downloadable from the Download section. Adjustment of audio parameters, firmware update. • Management of the N-Com system from Android Smartphone thanks to the dedicated App.